Pilates Engel + GORDON-double shot. a fitter way to party through the weekend. START: Pilates Engel, Herrfurthpl. 5, 12049 Berlin. FINISH: GORDON restaurant & records, Allerstraße 11, 12049 Berlin. U / S - BAHN: Leinestraße. THE WORKOUT: Pilates at 12.30pm (Level 1) with Sabrina. Open to all levels (beginners are welcome!) and ideal for anyone recovering from a late Friday night, the class is a great way to get up and at it before spending the rest of the day feasting and dancing around. In the class you are in the hands of a real expert. Sabrina has been teaching Pilates since 2010 and is a true expert at correcting form. This makes sure you strengthen and lengthen all the right muscles, whilst avoiding risk of injury or feeling sore (in a bad way) later on. The class also helps you become much more body and posture aware (which can only be a good thing). Furthermore, Sabrina’s positive energy is infectious. So much so that you can’t help but smile throughout the class, despite feeling the burn across a variety of exercises. If you thought this class would be a bit of a cop out (just lying down on the mat) then you are in for a shock. Toe taps, butterfly kicks, clams and scissor legs come one after the other in a lower body blast. The core is engaged all the time alongside isolation exercises to really carve out the core muscles. You’ll leave feel longer and stronger with abs of steel. THE FOOD: Every Saturday & Sunday, between 12-16pm, GORDON serves up fresh delicious home-made Israeli brunch food, topped with fresh juice and great coffee, alongside some techno and house tracks laid down by some of the city’s most exciting up and coming artists from their very own music label. Essentially, Gordon is everything you want from weekend brunch spot (a giant day party with delicious food). Part cafe, part bar, part record store and part dance floor (well there are live DJ s at least), Doron Eisenberg and Nir Izveniki opened this Neukölln spot in 2014 and it remains a favourite with the cool Berlin crowds. Nir runs the kitchen (Israeli inspired) and makes the best skhug (hot sauce). The hummus is also super silky and rich, the coffee is strong and the best part about it is the giant buffet. 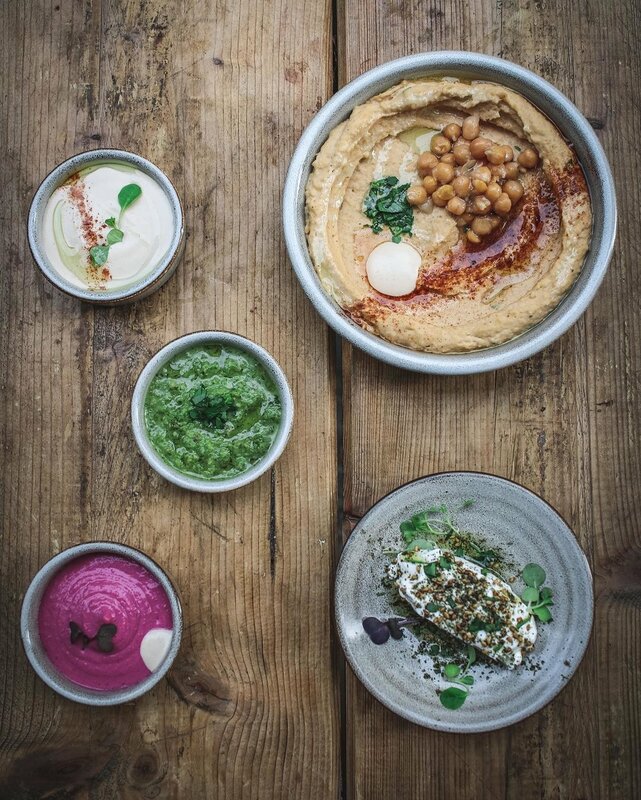 Options include a spicy tomato Shakshuka, classic beef stew with fluffy cous cous and bowls of veggie salads, all drizzled with lashings of tahini. Settle down for the afternoon as you take in the sights, smells, sounds and epic food by the plate-load (did we mention its all-you-can-eat?). Remember that doesn’t mean you have to. But could be rude not to. THE PRICE: Pilates Engels: A drop-in class €15, ten class pack €135. GORDON: Weekend brunch: Early Bird Brunch (10-11am: €9.9 food / €14.9 food, drink, dessert, coffee), Night Owl Brunch (11am-16pm) €12.9 food / €16.9 food, drink, dessert, coffee. Drinks: Glass of wine starts from €4. BEST FOR: Letting the good times roll. Sophie Heywood 14 March 2019 Café Pförtner, Uferstraße 8-11, 13357 Berlin.